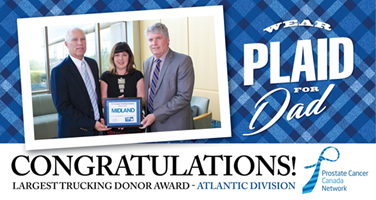 Midland is proud of the long-established history of supporting our employees and the communities where we live and work through charitable donations, sponsorship, and employee volunteers. 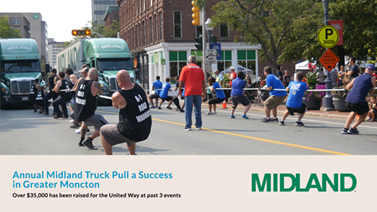 To maximize the impact of our contributions in the communities Midland serves, we support many different causes and transfer our support around to various organizations from year to year. If you or your organization would like to request our support, please submit your application through the link below. We receive many requests every year; however, you will receive notification when your application has been received. Following a review, an indication of whether the request can be supported will be communicated by email. 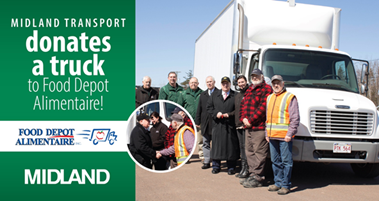 Request sponsorship or donations through Midland.